The most severe form of acne is cystic acne, in which pus-filled lumps form beneath the surface of the skin. Because cystic acne can leave permanant scars, it is important that this form of acne be treated promptly and effectively. One natural remedy that some have tried is vitamin E, which can either be taken internally or applied topically. A May 2006 article in "Clinical and Experimental Dermatology" studied plasma levels of vitamin A and vitamin E in patients with acne. Compared to a control group without the condition, those with acne had significantly lower levels of both vitamins. The study also found that patients with severe acne had lower levels of these vitamins than patients with milder forms of the disorder, leading the researchers to conclude that low plasma levels of these nutrients played an important role in the development and severity of the condition. According to a July 2008 article published in the "Journal of Drugs in Dermatology," vitamin E and other vitamins like A, C and B3 have both antioxidant and anti-inflammatory activities. When used topically, they are effective treatments for photoaging, acne, pigmentation disorders and wound healing. However, the vitamins must be applied to the skin in the proper form. There is also evidence that combinations of these vitamins are more effective than the individual nutrients. Vitamin E is highly concentrated in the sebum. Sebum appears to act as a transport mechanism by taking vitamin E from the bloodstream and carrying it to the skin's surface. Research indicates that three weeks of oral vitamin E supplementation leads to increased levels of it on the skin's surface. Since inflammation and oxidative stress play a causal role in acne and vitamin E lessens these processes, this result suggests a possible mechanism by which this nutrient might lessen the severity of this skin disorder. Because the bacterium that causes acne is becoming resistant to antibiotics, it is necessary to find ways of making non-antibiotic treatments more effective. Benzoyl peroxide is a moderately effective topical acne cream that can, however, be irritating to the skin. 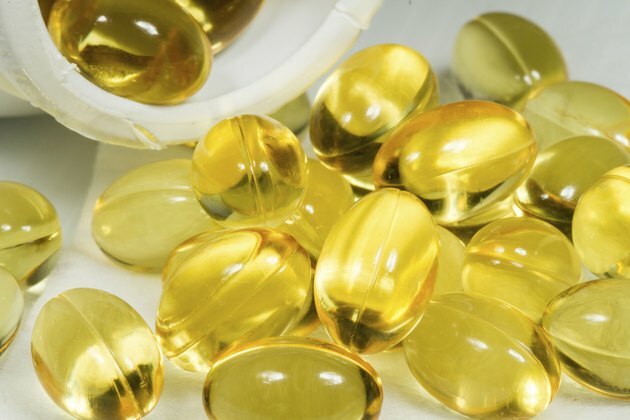 A July 2009 article published in the "Journal of Drugs in Dermatology" states that the effectiveness and tolerability of this medication are enhanced by adding vitamin E to the formulation. Even with added vitamin E, however, it cannot be used alone to treat severe acne and must be combined with other treatments.